I’ve been a daily reader of Beattie’s Book blog for many years and Fifi sits high on the sidebar of the Bookman’s bloglist. Well she’s not actually sitting, that would be too too uncomfortable, but a link to her blog is positioned there. 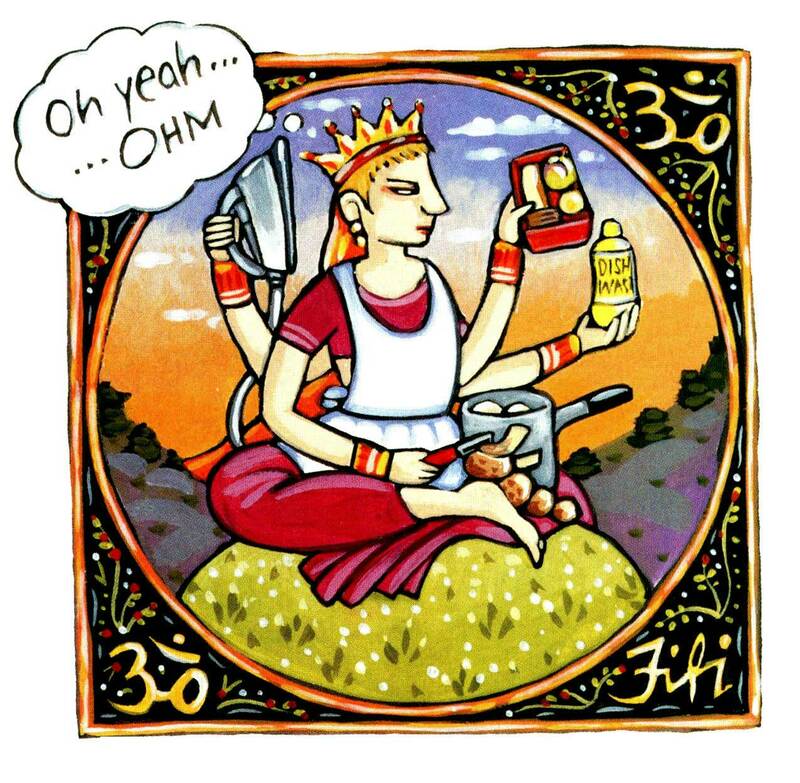 So I’ve been keeping an eye on Fifi, via her blog, for several years. When the idea for Bellamys at Five was germinating I thought wouldn’t it be great if….., and then discarded the notion. Fifi is a busy lady and anyway she’s up there in Wellington and we’re way down here in Dunedin. But the idea niggled and niggled so I emailed Fifi just to get rid of the niggle. And well you know the answer – Fifi came back straight away, yes I’d be interested. Graduating in Wellington with a Diploma of Visual Communications Design in the early ’80s, Fifi freelances with fingers in many creative pies. 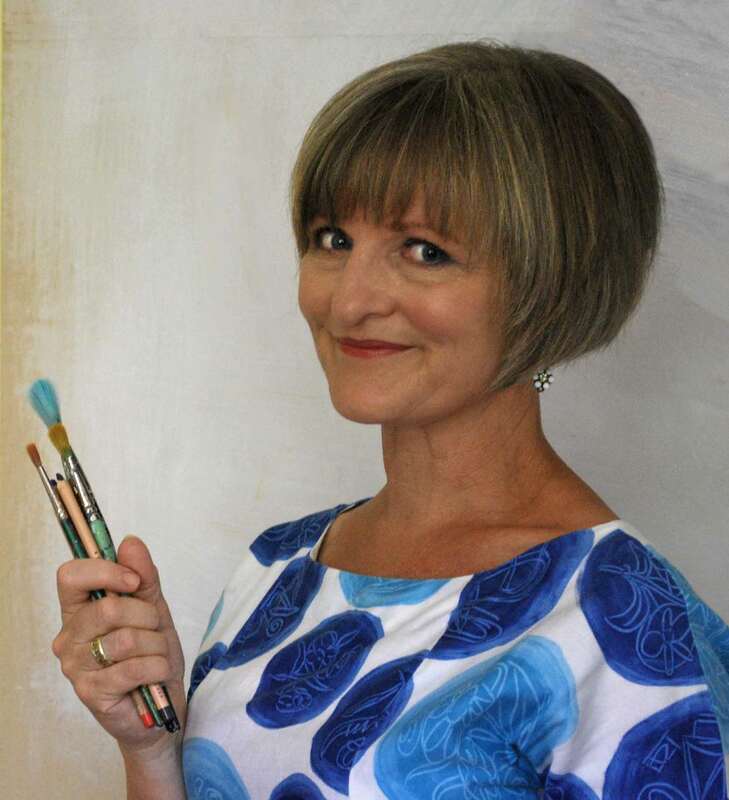 She has tutored in design and illustration at Christchurch Polytechnic and Massey University and is a published junior fiction novelist, children’s book illustrator, poet and a long-standing presenter of arts and crafts on firstly TVNZ’s ‘What Now’ and then ‘The Good Morning Show’. Fifi is a veteran of Wearable Arts; a finalist and award winner over 18 years with 18 entries in show. Her work has been exhibited many times in Nelson’s World of Wearable Art Museum and two of her pieces are currently touring New Zealand in the WOW ‘Off The Wall’ Exhibition. She has also worked with Weta Workshop and 3ft7 Productions in the New Zealand film industry as a costumier, puppet maker and illustrator. When she has a moment, Fifi visits schools and community groups, inspires budding artists and writers and runs workshops in creative process. I live in Wellington, the city of my heart. 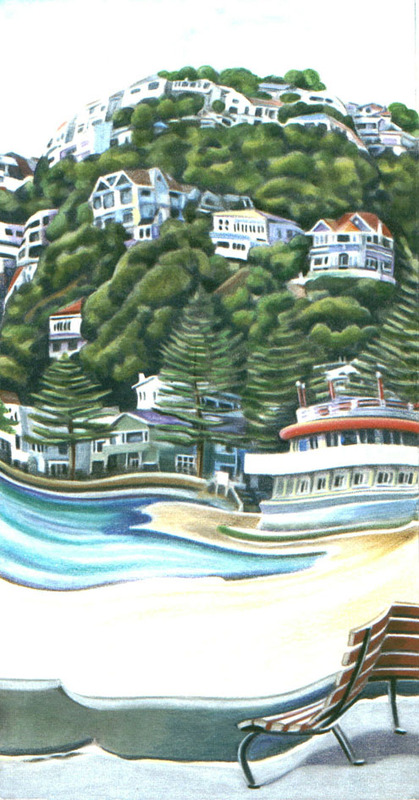 I love to walk around the bays and this painting of Oriental Parade is one of my most beloved spots. I arrived in here on a boat with my family from Britain in 1968 and the harbour was magnificent – one of those magically calm days with not a breath of wind or touch of cloud. The place is always that for me even in its wildest moments! 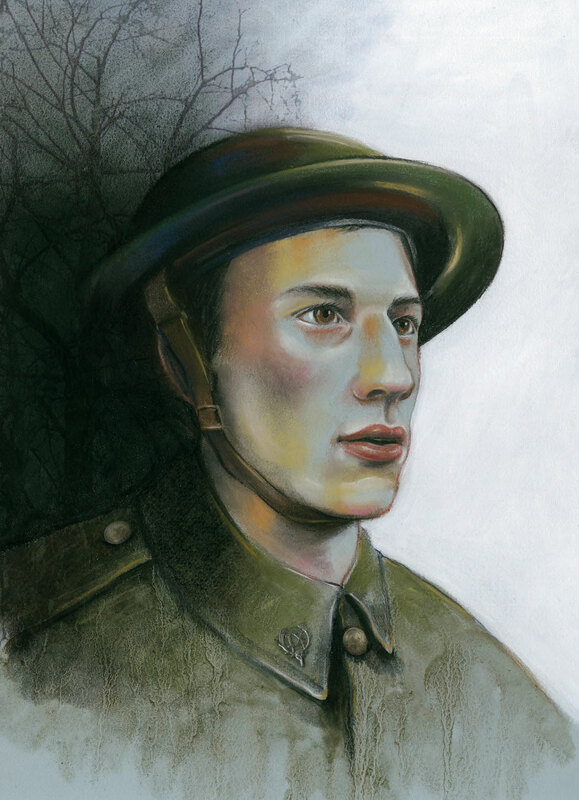 This portrait is from The Red Poppy; an ANZAC book by David Hill which has earned a Storylines Notable Book Award recently. I’m very proud of the work I did for this book ; it’s one of my best achievements. Less of a painting and more of a piece; this is one of the Wearable Art creations that is touring the country. It’s called Lady Curiosity and was inspired by Rachael King’s book ‘Magpie Hall’. 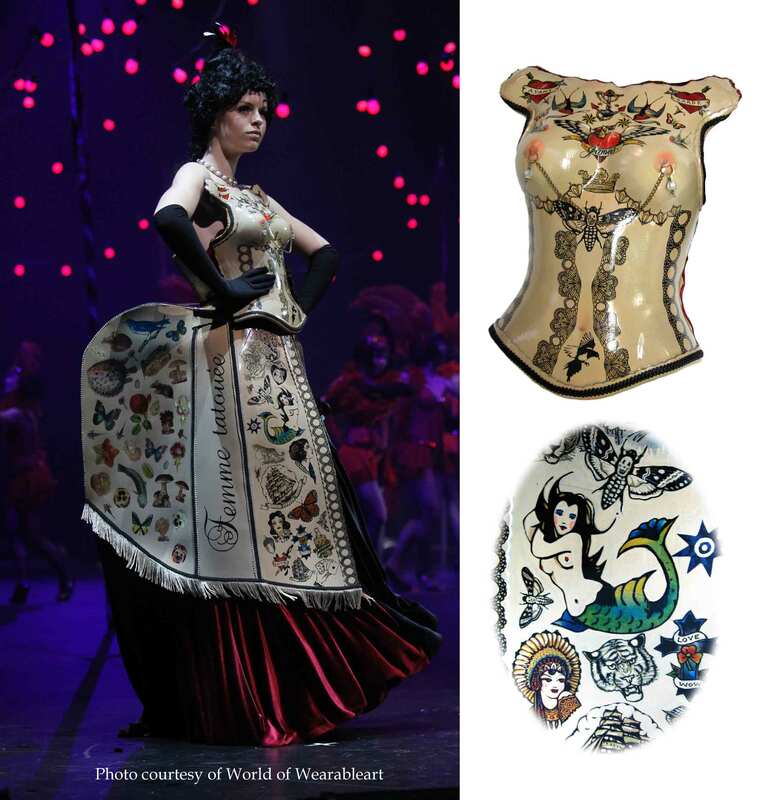 I’m intrigued with the history of tattooing on women and this piece also contains a cabinet of curiosities in the bustle. I illustrated a book called Papa’s Island by Melanie Drewery. 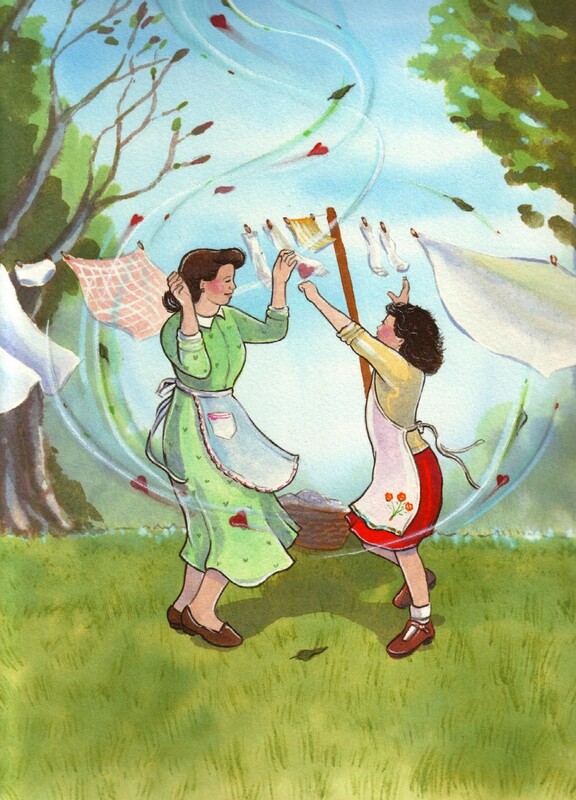 This is one of my favorites- where the mother and the daughter are catching ‘kisses in the wind’ sent by the father imprisoned on Somes Island during the war.